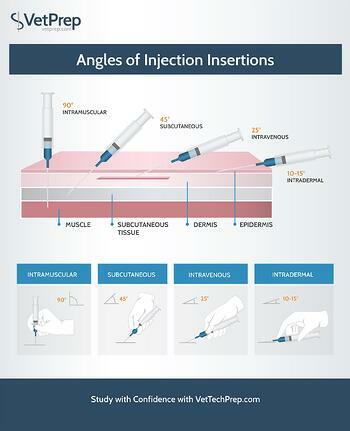 Veterinary Students, our next veterinary infographic is on the angles of injection insertions. We cover 90 degree intramuscular, 45 degree subcutaneous, 25 degree intravenous and 10-15 degree intradermal. Veterinarian Fact: Did you know you can't actually see an X-Ray? Did you know you can't actually see an X-Ray? 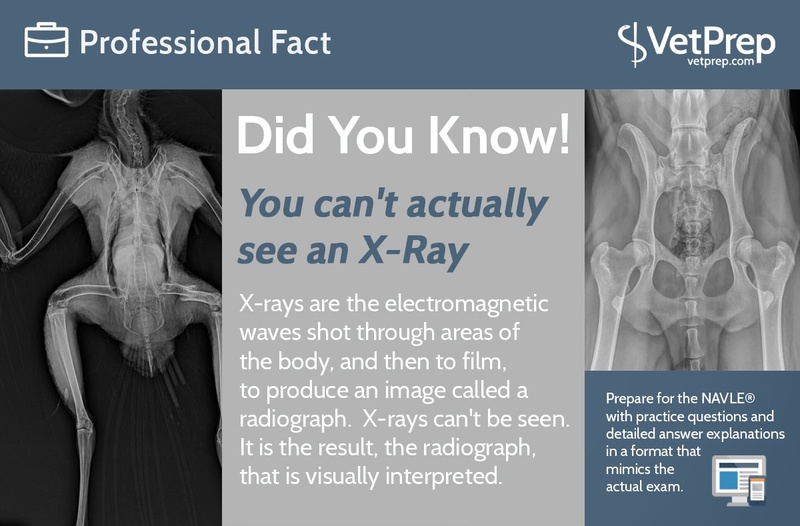 X-rays are the electromagnetic waves shot through areas of the body, and then to film, to produce an image called a radiograph. X-rays can't be seen. It is the result, the radiograph, that is visually interpreted. 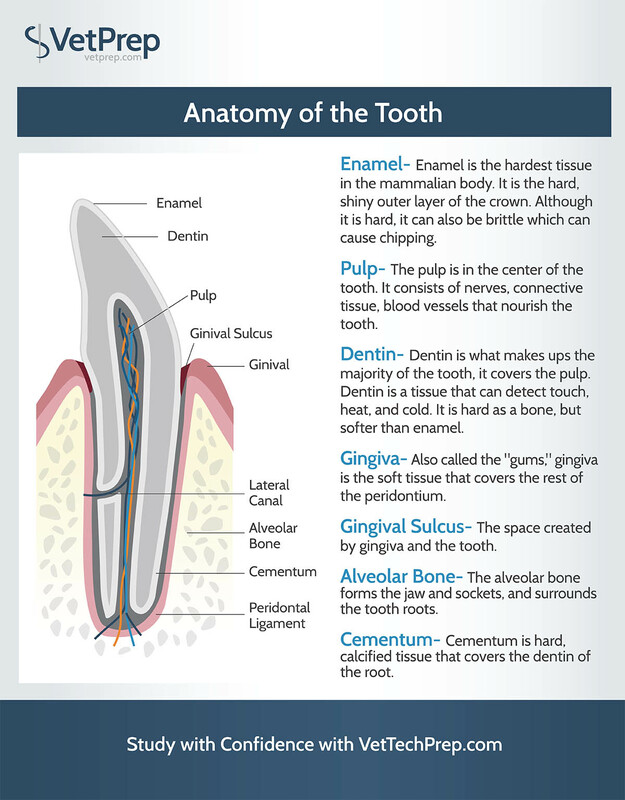 Our next veterinary infographic is the anatomy of a tooth. We cover the enamel, pulp, dentin, gingiva, gingval sulcus, alveolar bone, and cementum. 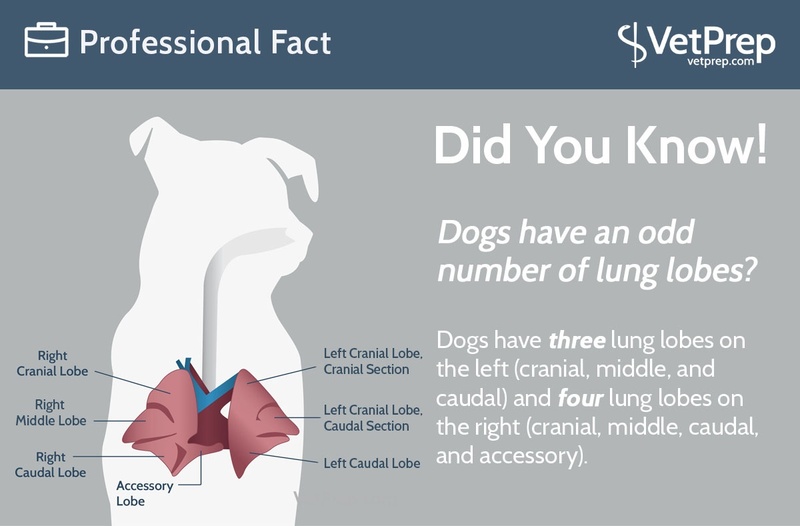 Fact: Did you know dogs have an odd number of lung lobes? Did you know that dogs have an odd number of lung lobes. Dogs have three lung loves on the left (cranial, middle, and caudal) and four lung loves on the right (cranial, middle, caudal, and accessory).